It was an impressive internship that I had this summer, partly because of the numerous bites by mosquitos and fleas. 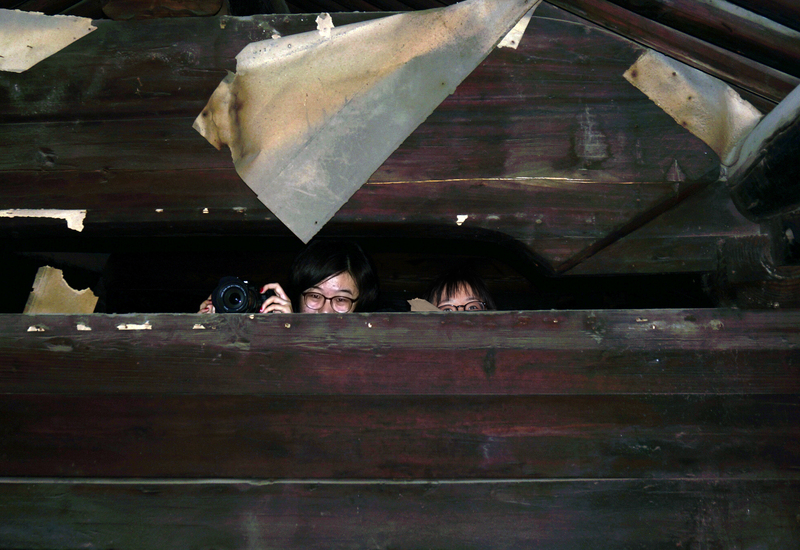 I participated in a series of documentations in the region south to the Lower Yangtze River in China. 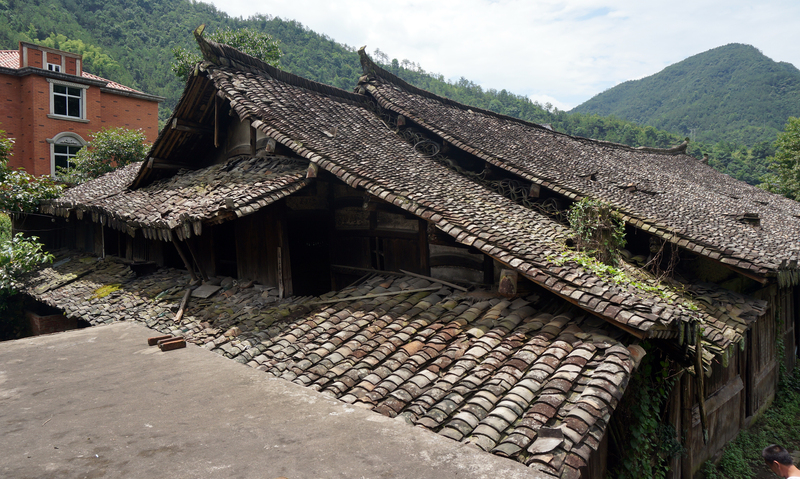 The first documentation was near Wenzhou City, a region famous for its archaic architectural style – broad flared roof remained in traditional constructions here while having disappeared in most other places in China by the Qing Dynasty. People of a large family used to live together in large houses, but as they moved out to live in small-scale families in recent years, the number of buildings burgeoned. Old buildings would be subject to demolition so long as their last residents could afford to build a new house. Our work tend to study the typical construction technique, and to keep a record of these houses. I documented the oldest house in the village, which once accommodated 8 nuclear families. Before actually taking it down on the drawings, I needed to understand the structure of the house well enough, including the characteristic shapes of each structure member, the jointing method, the arrangement of spaces and routines, most of which differed from the standard ways I’ve learned in textbooks. Then, drawings were done on graph papers, to guarantee the accuracy. To fix the roof curve was especially important. As timber frame experienced distortions over time, we studied carpentry manual books to figure out the dimensions of the structure. We also visited local carpenters to see them laying off the timbers, so that we could see joints which couldn’t be easily understood after being assembled. The next internship was in southern Anhui Province, where the best vernacular settlements along the lower Yangtze River are preserved. Owners of old houses are subsided by the government if they take care of their houses and open them to tourists. Ten of us were divided into 4 groups to document a two-storied house of about 300 m2, each in charge of a set of orthographic drawings or detail drawings. After finishing piles of sketches, we compared our measurements carefully, processed the data, and then built a SketchUp model. Section slices were exported from the model to be further processed by AutoCAD, so that all drawings were coherent. Our final product was not only a record of the house; also, the SU model was made into an animation, which acted as attractive advertisement on the official tourist website. My last documentation internship had another emphasis. 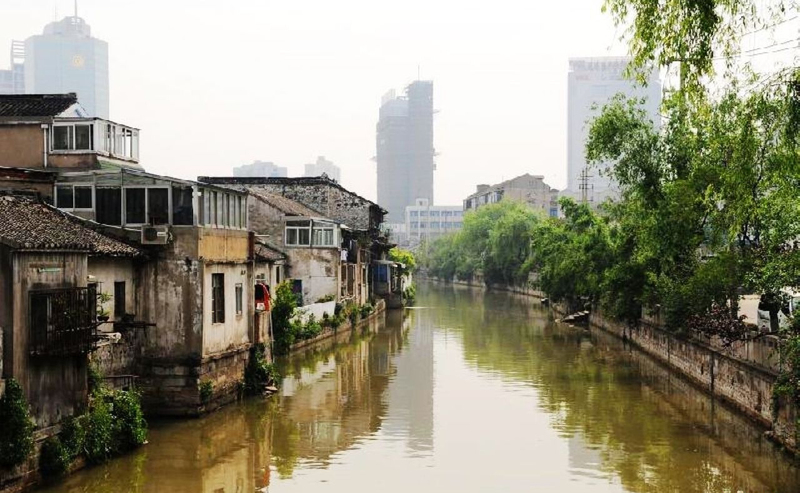 The project was the preservation of Qingguo (“Greenfruit”) Alley (in Changzhou City, near Nanjing), which is famous for several residences of celebrities since the 16th century, but is now trapped in the blight of the old city center. The task group has been working on this project for one year and has obtained all the documentation drawings of some 50 historic houses here. Our work this summer centered on the tectonic and construction details to prepare for adaptations in the future. Three topics were established: the wood joints of the timber frame, the interior joinery work, and the arrangement of masonry blocks. Again, we studied carpentry manual books, summarized local adaptations, and even figured out notable evolvements between different periods. 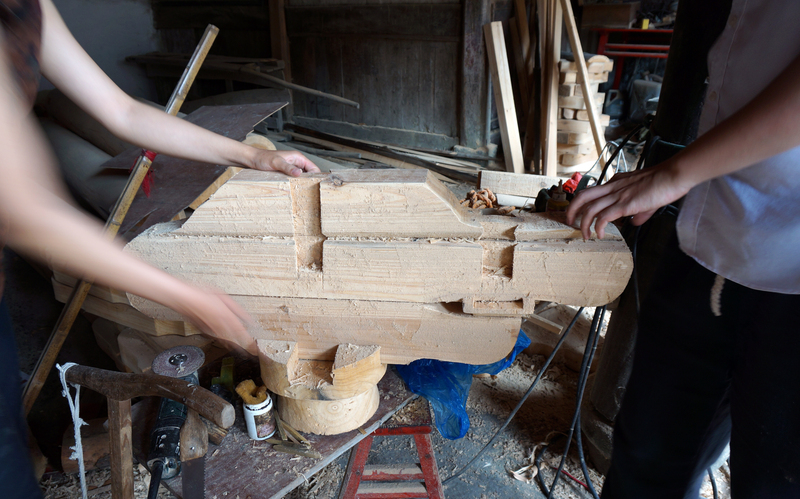 My work emphasized on the woodwork, and the product was a set of SU models of the wood joints. 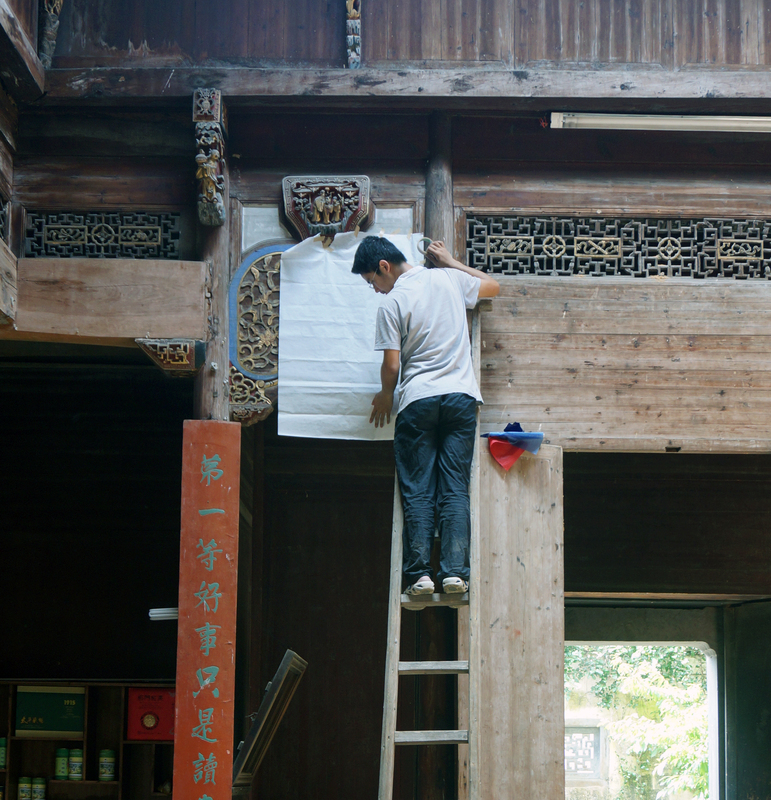 This summer I had a great chance to learn about the rich diversity of timber framing and wood joints – even in a relatively small region of China. Another reward is the documentation skills I learned from different groups of practitioners, which could help me to deal with diverse demands of field research tasks in the future. I also saw various kinds of deteriorations; it’s a pity that I didn’t have the chance to do any practical conservation work, nevertheless, this was a good review of what I’ve learned in class. 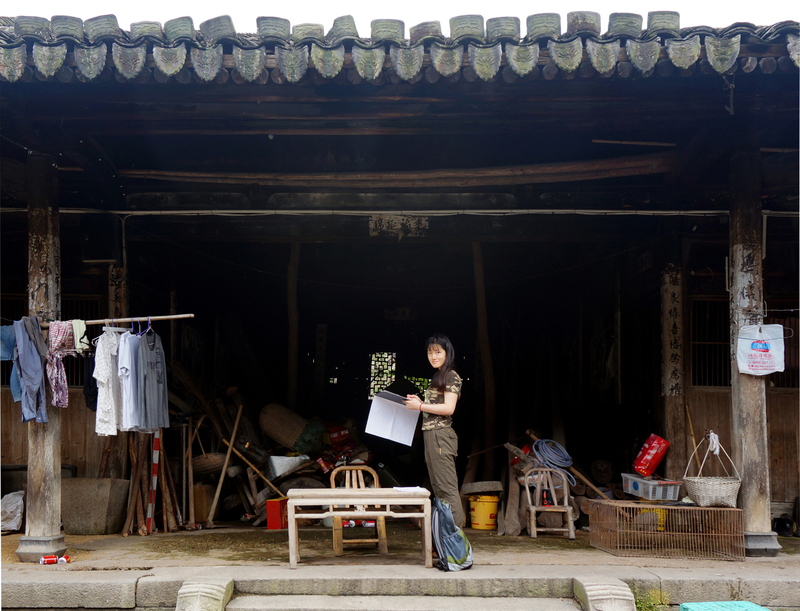 At last, it’s impressive to learn about the current situations of the old houses in China – think about the mosquitos, fleas, mice and snakes, so different from the tidy, commercialized tourist areas I saw in the past. I won’t boast our work as “meaningful” were one day we succeeded in bringing good lives to the depressed places, but such achievement would certainly be miraculous enough to attract my devotion, and to make me feel proud of myself once I make it.